Kim Trump Summit Rothschilds and Financial War. By Ben Fulford. 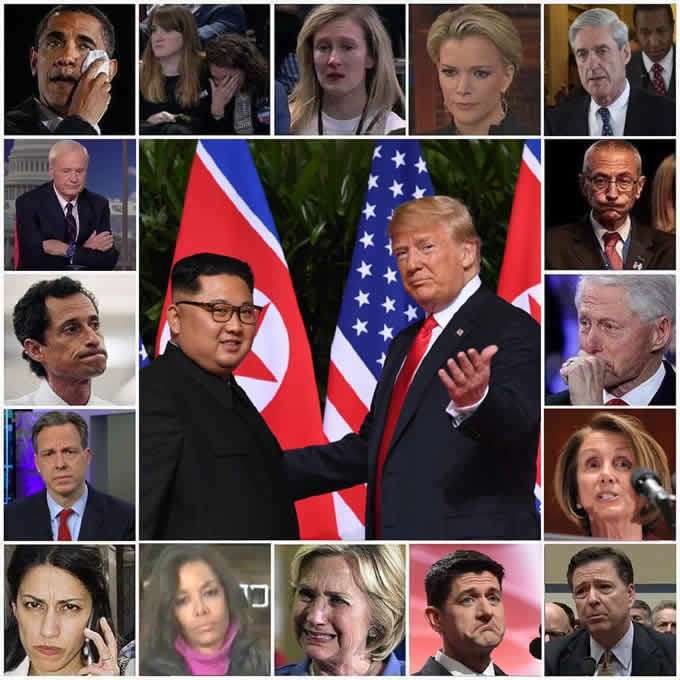 The summit meeting this week between U.S. President Donald Trump and North Korean strongman Kim Jong-un was preceded by a tidal wave of high-level public and secret diplomacy, because this is no ordinary meeting, multiple sources agree. The summit will not only discuss peace in the Korean Peninsula, but also the future of the financial system and thus the future of the world, according to North Korean, Pentagon, Illuminati, and other sources. 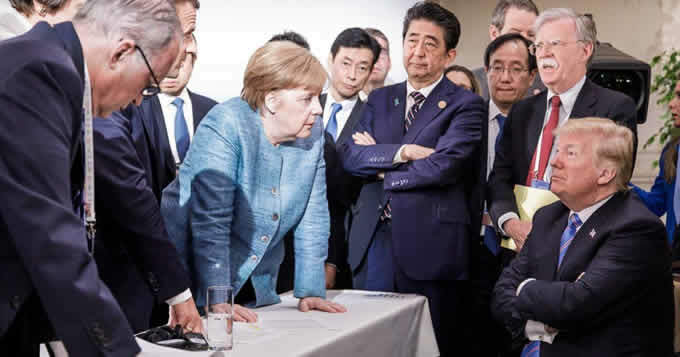 The public meetings this past weekend were the G7 (now G6 following the U.S. de facto withdrawal) summit meeting of Western leaders and a summit meeting of the Shanghai Cooperation Organization (a.k.a. the Eurasian Alliance). The secret meetings were the Bilderberg meeting in Italy, and meetings between Asian royals and representatives of the White Dragon Society (WDS) held in Japan, according to Asian secret society sources. Furthermore, “the Senate’s August recess was cancelled so Trump’s federal judges and other nominees can be confirmed,” they note. The youngest sister of Queen Máxima of the Netherlands has been found dead in her apartment in Bueno Aires. Inés Zorreguieta, 33, who worked as a researcher at the United Nations in Panama and was also a talented guitarist, was reported by Argentinian and Dutch media to have killed herself. The King of the Netherlands, Willem-Alexander, and Queen Máxima are flying to Argentina for the funeral. Zorreguieta enjoyed a close relationship with her sister and was bridesmaid at her wedding to the then Dutch Crown Prince Willem-Alexander in 2002. She was godmother to the royal couple’s youngest daughter, Princess Ariane, 11. The Queen, originally from Argentina, was said by the royal household to be “very shocked and very sad”. Máxima, 47, has two brothers, Martin and Juan, and three half sisters, Maria, Dolores and Ángeles. However, it was Sweden where the real action could be seen. Here the government “mobilized its home guard and reserves to purge Muslim rapefugees,” Pentagon sources say. The gold also financed the founding of the CIA and the country of Israel, they claim. It still funds the G6, they say, but it did not fund the development of East Asia as promised. is the daughter of Kim Jong-un’s executed uncle Jang Song-thaek and is thus a first cousin of Kim’s. Jang was executed because he was working for the Rothschilds, Zang claims. Certainly Bolton has been trying hard to derail the summit, as can be seen by his public actions such as claiming in public North Korea would be treated like Libya. On this front, “anti-Christian liberal Jewish hag Ruth Bader Ginsburg (the notorious RBG) and crypto-Jew [satanist] Sonia Sotomayor… have been targeted by Trump for removal from the Supreme Court,” Pentagon sources note. The Khazarian mob, of course, is not going to give out with a fight and have been actively “suiciding” whistleblowers recently. This explains the rash of Pokemon Go players entering restricted areas around the world and taking photos. This entry was posted in Uncategorized and tagged 160 Altanta children feerd, 35000 indictments, Asian royals meet, ben fulford, Bilderberg Meeting, Bolton, Disclosure News Italia, G7 meets, Inés Zorreguieta suicide, Kim, love, Manchu dynasty gold, Tommy Robinson riots, Trump, Vatican attends Bilderberg, WDS meet. Bookmark the permalink.